This 5 CE workshop will provide attendees with an overview of symptoms of PTSD according to the DSM V. Postmodern theory and approaches, mainly Narrative Therapy, will be clearly defined in comparison to modern approaches. an emphasis on how Art Therapists, and non-Art Therapists such as Professional Counselors, can use art-based interventions, from a postmodern and Narrative approach, as a treatment option. Vicarious trauma / compassion fatigue, will be explored in the context of working with trauma experiences. 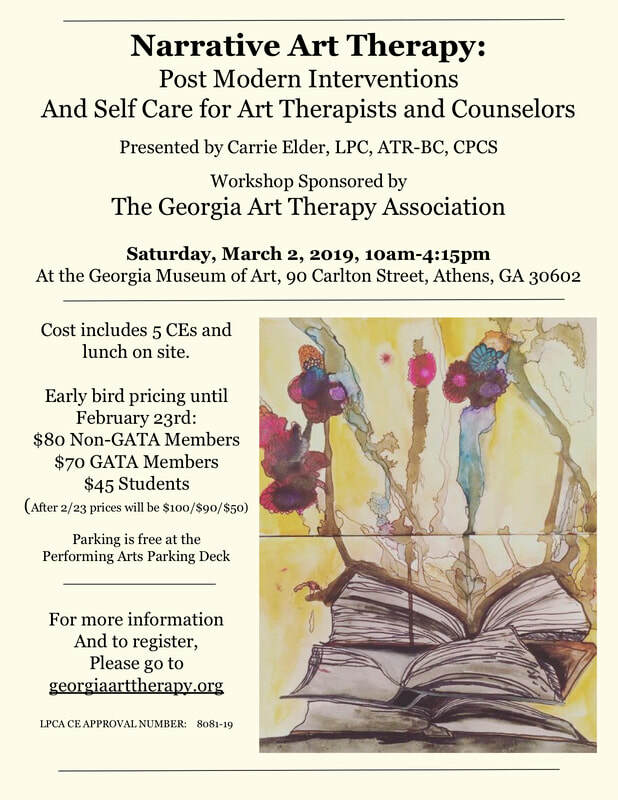 Experiential activities will be used to demonstrate art-based methods to help mental health providers increase self-care skills as it relates to vicarious trauma. Lunch is included and will be provided on site. Free parking at the Performance Arts parking deck.